The present Oak Grove one room school house was built in 1924 after the previous school house was damaged beyond repair by a flue fire. The school is located in lower Brush Creek Township. The school was closed in 1959 when the students were transferred to Warfordsburg Elementary. Some of the known teachers were Roy Plessinger, Viva Murray, Clem Smith, Rintha Whiteside and Ruth Bohn. An Oak Grove school reunion was planned by Mary Hill McKee, which was held on July17, 1983. The gathering included 123 former students plus three teachers; Roy Plessinger, Rintha Whiteside and Viva Murray, along with family and friends. A group picture was taken and a program followed including the ringing of the bell, pledge of allegiance to the flag, singing school songs and several readings. 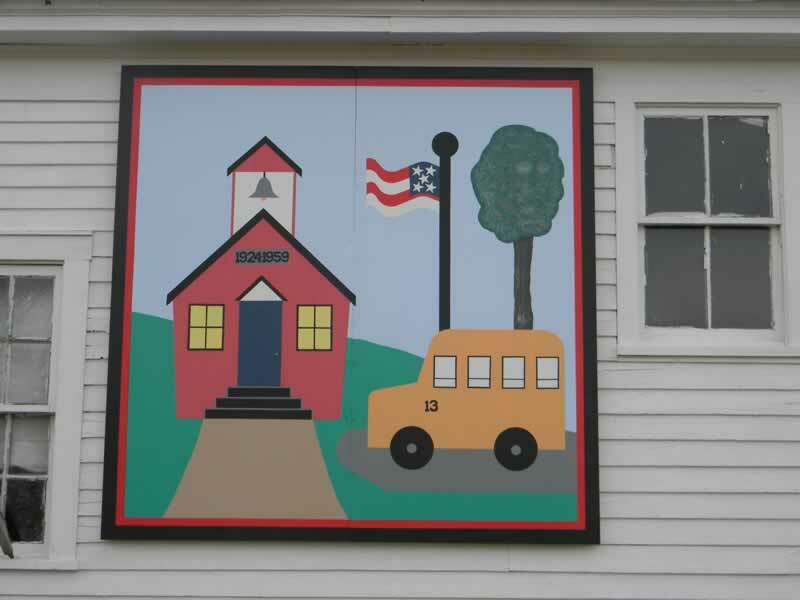 The pattern of the school house, school bus and flag pole seemed appropriate for the location. The #13 chosen for the bus was the bus number driven by Herman L Hill beginning in 1955 thru 1982.